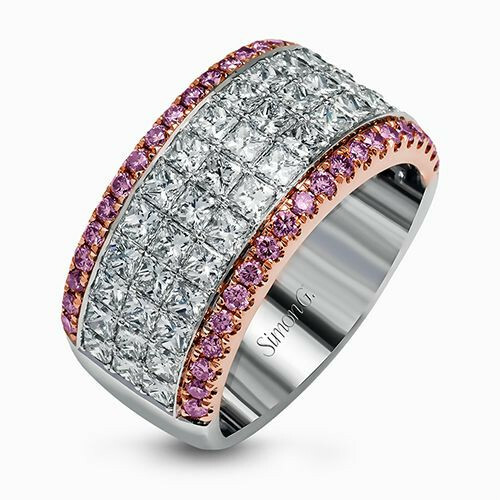 This anniversary band from Simon G. is a contemporary look destined to become a classic. 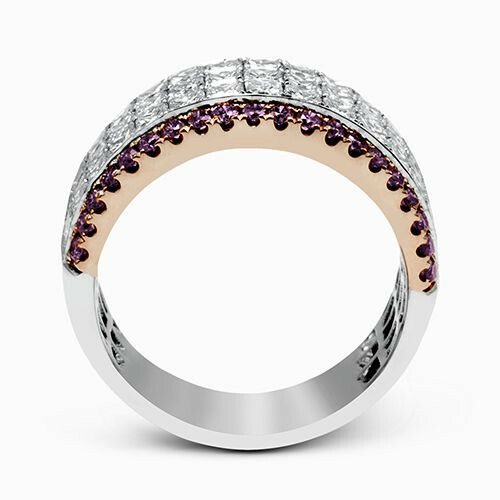 The gemstones in the piece go half-way around the band, with three rows of princess-shaped white diamonds set in 18kt white gold bookended by a row of round pink diamonds set in rose gold. 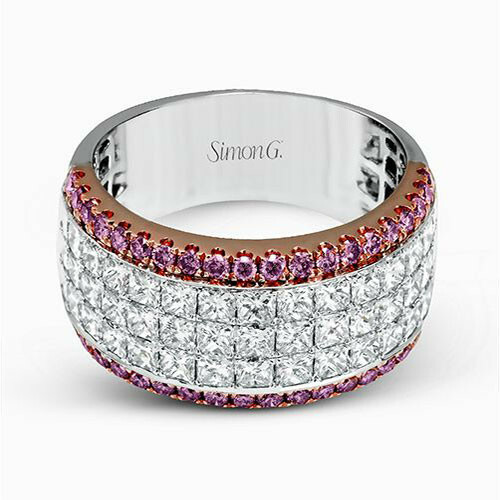 Everything's coming up rosy with this Simon G. anniversary ring!